The Tatami Ring features a flat surface reminiscent of a Japanese tatami mat, putting the traditional domestic item which recalls of warmth and comfort in contrast with a distinctly urban material. Handmade from high-grade concrete, this ring features a minimal design and a beautiful play on textures, with smooth surfaces and textured areas complementing the stainless steel interior. The flat top boasts six uniform holes and the sides are subtly curved. 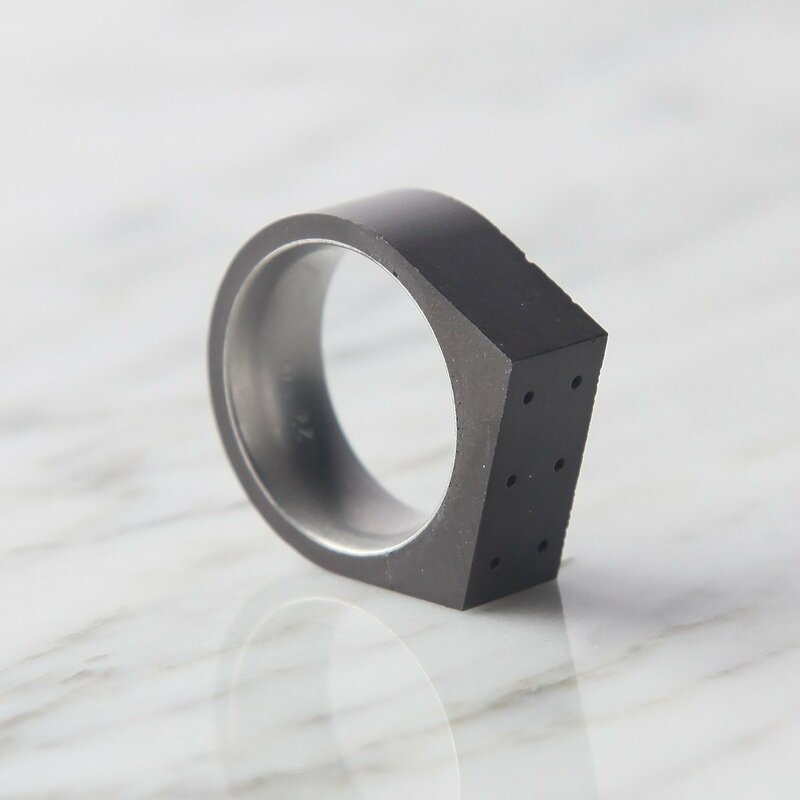 Chic and versatile, this ring is a great choice for those looking for modern concrete jewelry with a refined finish and strong urban vibe. 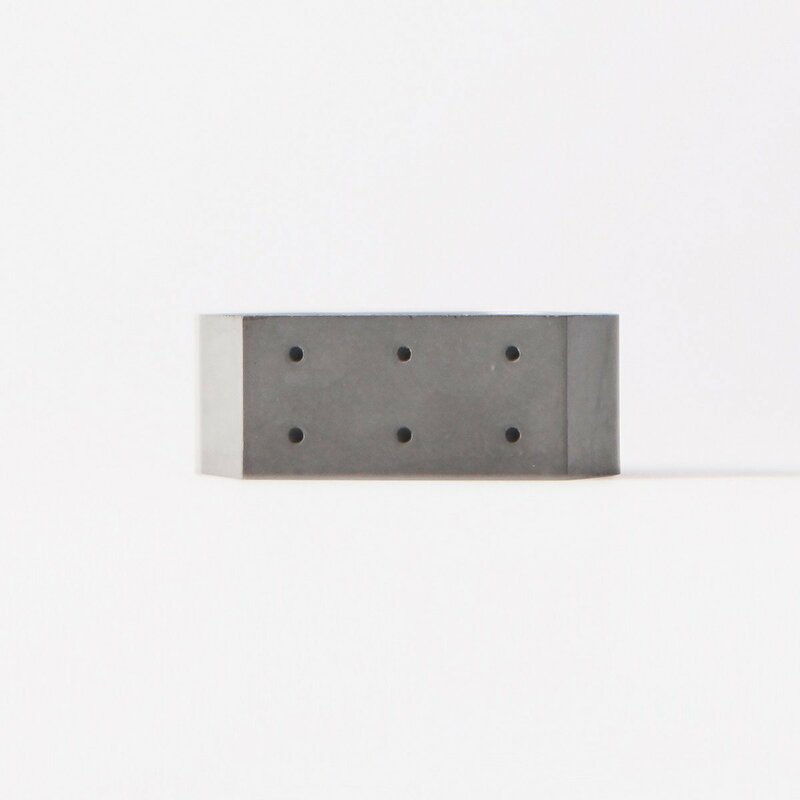 The Tatami Ring is handcrafted by the 22 studio in seven sizes and three color tones: original, dark gray and white. Gessato is an authorized retailer of 22 Design Studio products. We purchase all of our 22 Design Studio products directly from the company in order to bring you genuine items that represent the best in contemporary design. Every 22 Design Studio product in the Gessato shop is authentic, comes with official brand packaging, manufacturer’s warranty (where applicable), and is sold with 22 Design Studio's authorization.